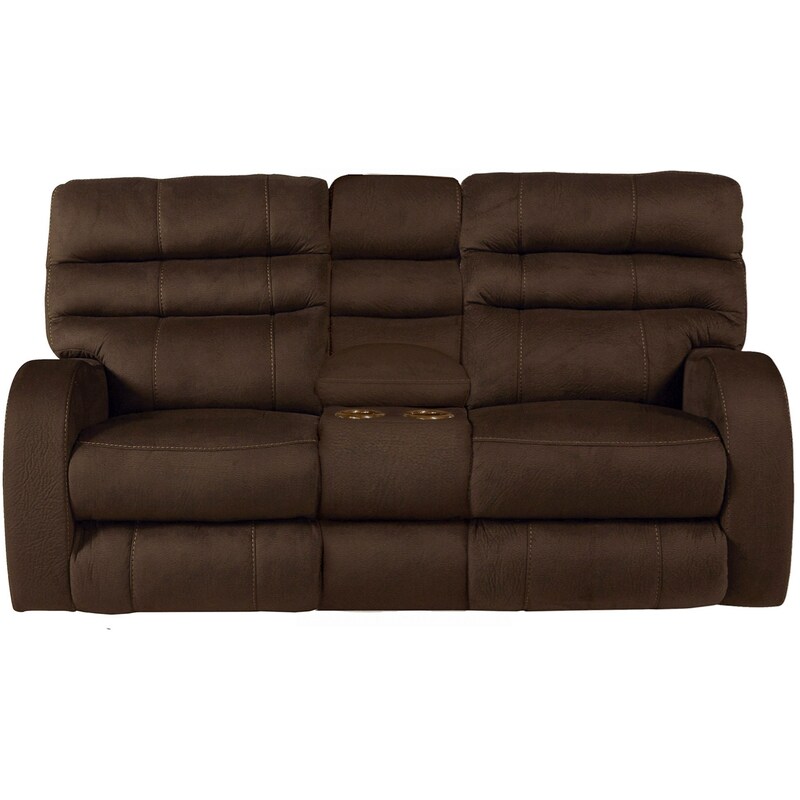 Add modern style to your living space with this power lay flat reclining console loveseat. The radius track arm design gives the piece contemporary appeal while the waterfall back offers plenty of comfort. 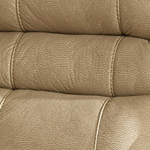 Power reclining and the power headrest of this console loveseat will allow you to find the most comfortable position possible. Power lumbar support makes this piece even more relaxing. Console storage and cup holders provide extra functionality to the piece. A USB port in the power control panel makes it easy to charge your mobile devices without getting out of your seat. The Kelsey Contemporary Power Lay Flay Reclining Console Loveseat with Power Headrest and Lumbar by Catnapper at Lindy's Furniture Company in the Hickory, Connelly Springs, Morganton, Lenoir area. Product availability may vary. Contact us for the most current availability on this product. 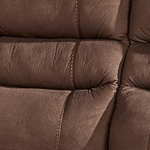 This reclining upholstery collection has a modern look and will add plenty of comfort to your living room. 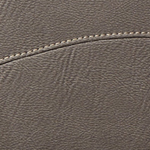 This collection features a soft padded polyester fabric on each piece. Comfort coil seating with Comfor-Gel helps to provide a sink-into comfort. Items in this collection are available with power recline and also feature power headrests and USB ports on the control panels with power lumbar support options available. The Kelsey collection is a great option if you are looking for Contemporary furniture in the Hickory, Connelly Springs, Morganton, Lenoir area. Browse other items in the Kelsey collection from Lindy's Furniture Company in the Hickory, Connelly Springs, Morganton, Lenoir area.